Description: Tim Holtz' Idea-ology line consists of those strange little doo-dads that you never really knew you needed until you saw them and then wondered how you ever quite lived without them. Great for all of your paper crafting projects, scrapbooking, cards, altered books and collages. 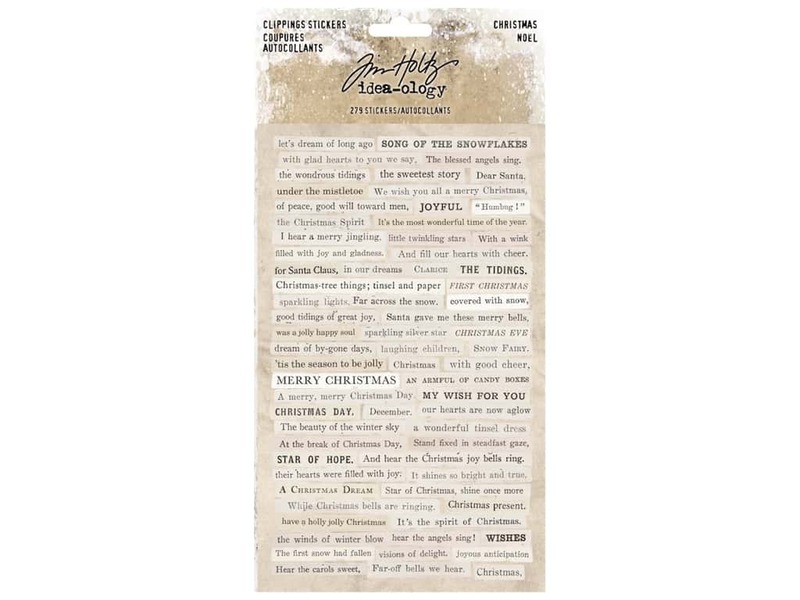 Christmas Stickers Clipping- 279 stickers of different phrases and captions that include: let's dream of long ago, wishes, a bit of tinsel, St Nick, Christmas night, their stockings are up, and more. Largest measures approximately 2.63 in. x .19 in.